I was in shock. I’d developed a sort of attachment to the building. I was almost sure it held the keys to the mystery of my house’s paranormal activities. It felt to me to almost certainly be an act of arson. An electrical fire is unlikely. There was no power to the building at the time I visited, and I doubt that had changed. The damage wasn’t extensive, at least from what I could see. There were burn marks above certain upper windows and the front door, but the roof seemed intact. And yet the fire was fatal to the old building. The house had been on the market for many months. Zoned commercial, it was already a bit of a tough sell, since those wishing to use it as a residence could not get a mortgage to do so. It had some potential as a commercial property, but the taxes were a bit on the high side, and businesses weren’t prospering nearby. 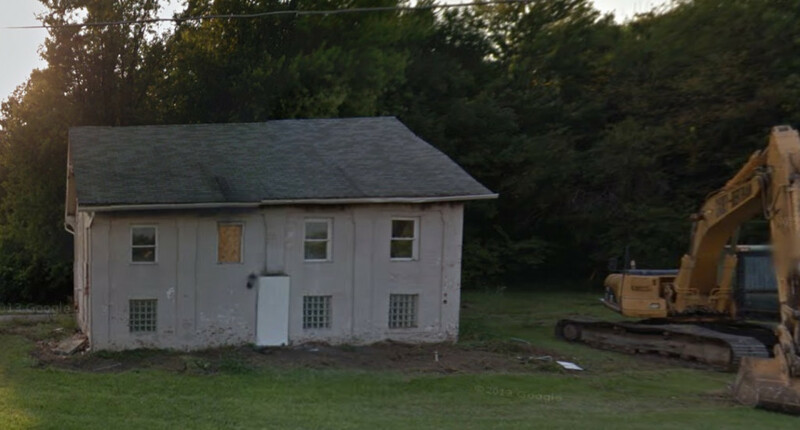 And so one day the wrecking crew came, and again the Google Streeview vehicle captured a piece of my haunted history. The first day of the demolition was spent taking out the trees and other bushes from around the building. The image above captures the building at sunset of its last day with the big, yellow, metal “executioner” sitting to the right. The next day the old school would be nothing but a pile of wood, bricks and rubble. Warren Township School number one was built around 1870. Despite being named “school number one,” it was not the first school in the township. 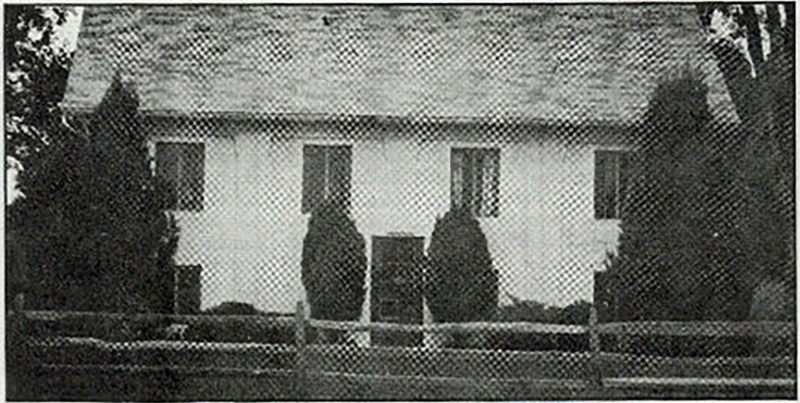 The first school in Warren Township was a repurposed cabin on a farm owned by Andrew Morehouse, far west of 30th and German Church. That first school is described as follows, “It was of round logs, about twenty feet square, with a fireplace in one end eight feet wide,” which is nothing like this building. This school building was said to have originally been a one-room schoolhouse, although the floorplan was very different the day I explored it, and it’s hard to see how they could have made such changes after it was built. The school operated until about 1922. Mrs. John Ellenberger, a name well known to those living in Irvington, Indiana, was the last schoolteacher to serve there. The publish date (1855) of the plat map (showing the owner of my land and the schoolhouse land as John Hamilton) and the date of the building of the school (1870) are just 15 years apart. Did John Hamilton build the school? Was he the first schoolteacher? Why did the former owners of the schoolhouse paint symbols above the door? Did they have experiences that caused them to paint symbols of protection above the doors? 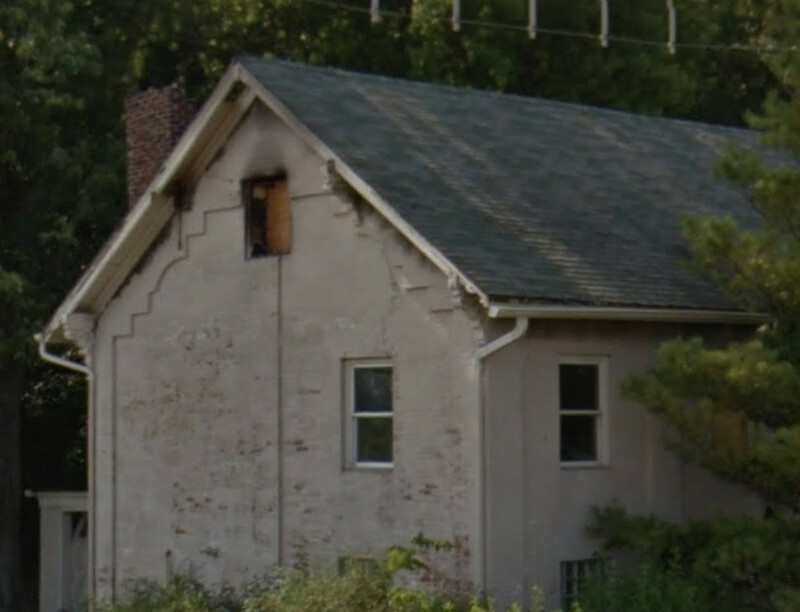 Was there a connection between my property and the schoolhouse property, or is that whole area cursed? Why was I drawn to the schoolhouse? In future posts, I’ll describe more incidents that occurred in that haunted house and talk about some of the farms that were swallowed up in the area. Update: I have added an epilogue to this story.